We sit down with the outspoken chef and restaurateur to find out the secret to smart expansion and his life's singular regret (hint: it involves Voodoo Doughnut). Micah Camden cut his teeth at DOC and Yakuza, before becoming the king of “fast casual”. 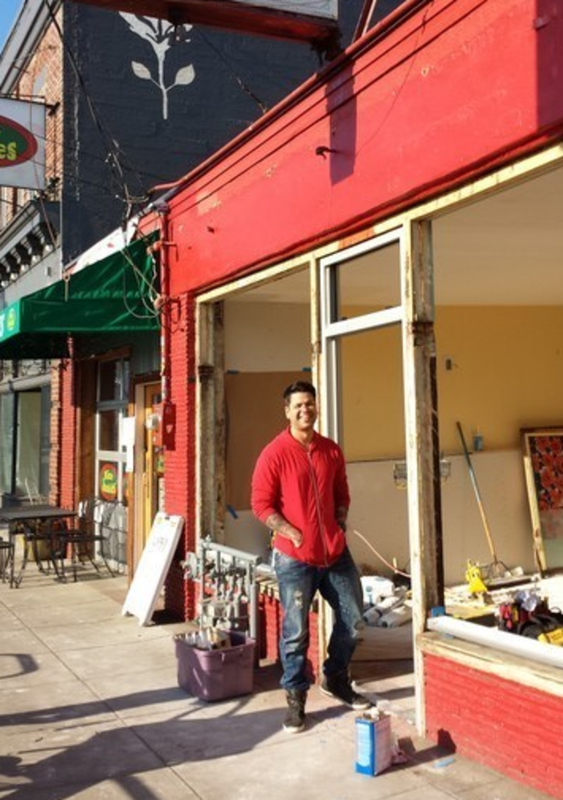 This spring, Camden’s local food empire expands to include the eighth and final (or so he claims) Little Big Burger on Alberta, a new Blue Star Donuts on Hawthorne, and a fried chicken shack called Son of a Biscuit on SE Division. We asked the culinary empire builder about the secret to creating local chains that work. What makes your restaurants ripe for expansion? There’s a new type of economy of restaurants: fast casual. People are active, and they want to get out, and they don’t need to make food be their evening. They don’t want to deal with that. There was a time, if you wanted to go out and eat at Beast, that was what you did for the night. There was no way to do anything else. So sometimes they want the consistency that comes from fast casual. How do you make a second location succeed? You take out the variables. If you’re using quality ingredients from a single source, the only variable you have to figure out is cooking the meat. And that’s not that hard. Little Big Burger’s fanbase knows they’re getting a medium to medium-rare burger. You get the people who are so offended that their meat isn’t brown or black all the way through, but when you’re advertising to a large audience, you have to deal with a much bigger array of problems. You have a Little Big Burger in Eugene. Any more plans to expand outside of Portland? F*ck no. My name means something in Portland. Everyone has varied opinions of me, but my name has weight in Portland now. I feel safe and secure enough to go out and try new things, or take on more than I can chew. I obviously don’t have that weight in Eugene. It didn’t blow up the way I thought it would. Up here, I’ve got great people to work for me because they want to work for me. In Eugene it’s college kids. Ugh. I can’t even begin to tell you what it’s like to work with entitled, college kids that all suffer from affluenza. Are you doing something new with your food empire? Fast casual is not something exclusive to Portland. It’s popping up in Brooklyn, in New York, in Austin. People are taking their wares and they’re distilling it down to one thing. Like Andy Ricker did Pok Pok. Pok Pok is great all around, but it’s really known for one thing: the wings. So he opened up a little wing shop. Yakuza’s burger is what launched LBB. There’s no way of getting around it. It’s ironic because we were offering the best sushi in town at the time, but I was known for the burger. I was like, ‘F*ck it. So be it. If this is what it is, so be it.’ And it worked. How do you decide to where you’re going to expand? I look at Portland as a collection of boroughs like New York: you have the Upper West Side, Harlem, Brooklyn. Here, we have Northeast, Southeast, Northwest, Southwest, and then Portland proper which is downtown. And that’s how I expanded out. I don’t have a footprint on Alberta, which is ironic because that’s where I made my name for myself with Yakuza and DOC. I’m coming full circle, I’m coming back to the area where I launched. But Little Big Burger will be the most affordable food option on Alberta. I mean, a cheese quesadilla is gonna cost you 5 bucks from one of those Mexican places. There are streets that have a pulse to them. I’m on Division, I’m on NW 23rd, I’m on Southwest Waterfront. Alberta is the last of those streets that warrants something like that. I’m not sticking a LBB on every available space. It’s more like, if I don’t open a burger bar on Alberta, somebody will. It might as well be me. What’s the formula for LBB? There’s a brand that people recognize, from the color scheme to the storefront to the seal on the menu. I can’t just squeeze it in anywhere. They all have the same feel when you walk in. That was the most important thing. We’re not trying to do anything new. LBB has been open for 3.5 years, and we’re on our eighth location, and we’ve barely just added pepperjack. That’s the only thing we’ve added. I would never try to replicate Yakuza or Beast or Boxer Sushi, because there’s too many nuances, too many variables. With LBB, I was able to scale everything down. That simplicity allows me to offer consistency. Alberta didn’t have that yet. I don’t have a lot of original ideas. But I was living in the Pearl and I was like, ‘Why the hell is there no burger bar in the Pearl?’ And [that first Little Big Burger] was a hit from day one. The line has never disappeared. I thought it was going to be a flash in the pan. I was like, ‘F*ck, I can totally do this somewhere else.’ The formula hasn’t failed me. 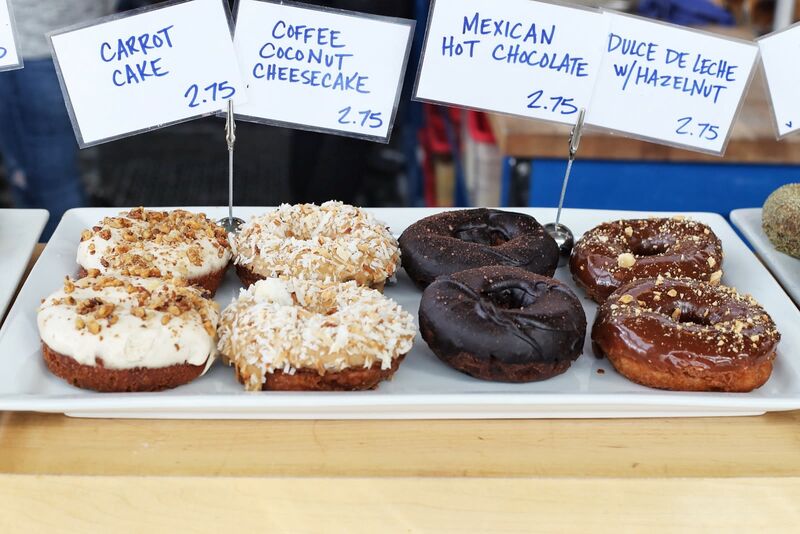 Is Blue Star Donuts based on the same model? Sure. Blue Star Donuts is going insane. I’ve got a second location going up on Hawthorne, which is the most touristed street. Until now, there were no donuts on the most touristed street in Portland. That makes no sense to me. We’ve got a prime location, and an awesome product. Same with Son of a Biscuit. Oregon doesn’t have a claim to fame with fried chicken. The only place that it does, the Screen Door, you have to wait an hour and a half and you pay $18 for two piece and mashed potatoes. That’s not fried chicken. There’s a reason that I get off of work, drive home at 12:30 at night, and there’s still other chefs in front of me at Popeye’s getting fried chicken. Popeye’s is the only fried chicken place in Portland. There was nobody competing with Voodoo. Since then, I’ve opened up Japanese, French, Italian, British, American. I was like, ‘Screw it. I need to step up to the plate and I need to go after this. I need to disrupt the market. I’m tired of Portland being known for Voodoo donuts. I realize now, I’m never going to get that f*cking market. And I’m fine with that. I’m totally fine with it. Do you think there’s a limit to have far you can take it? Food goes through renaissances. All the staples will be revisited at some time. Pizza will never go away. 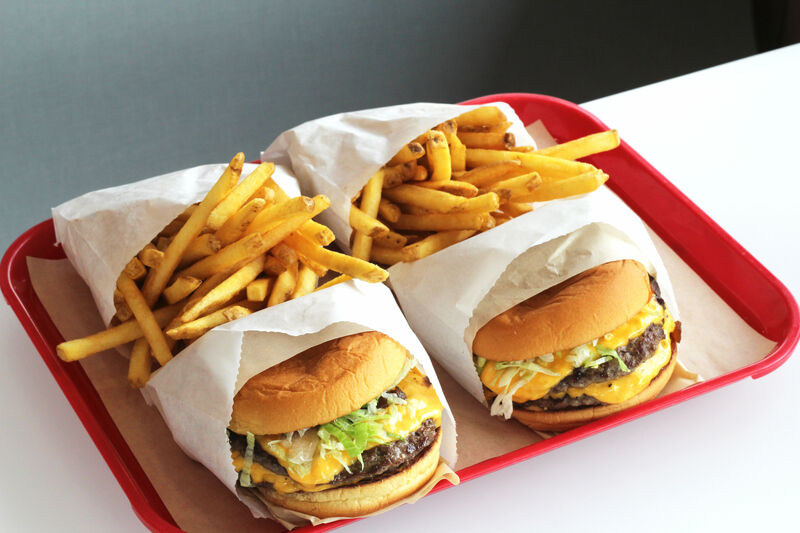 Burgers will never go away. And the donut is the most common food on the planet. Ghana has fried dough covered in sugar. And Ghana doesn’t have food. Every country has a fried bread covered in sugar. Every single one. 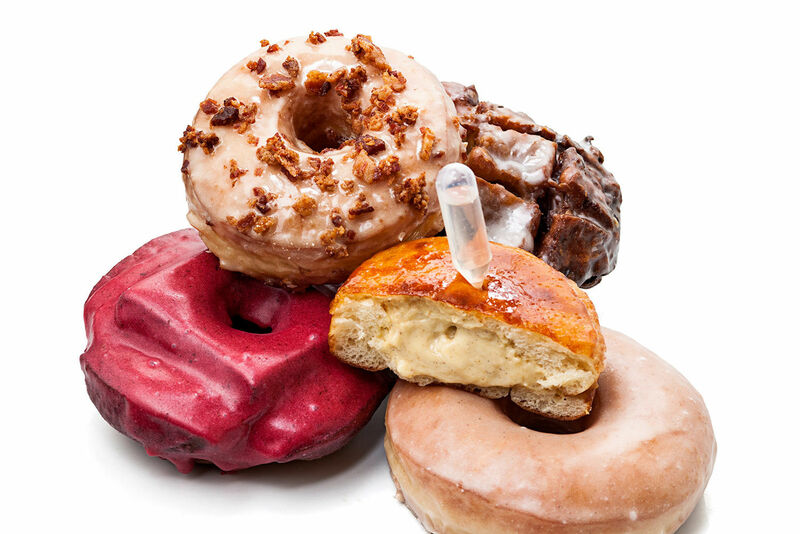 But there’s only four or five donut places in America that are putting up a really great quality, artisanal, holy-sh*t product in your mouth. So I want to do Blue Star larger than Portland. As I was developing recipes, I was thinking about how to scale it so I can take it to Washington, DC, where they have the most expendable income. It’s also the most caffeinated place in America. There’s a place in Georgetown that’s doing cupcakes, and they’re doing $10-15,000 a day. And cupcakes are over the hill. They’re so far over the hill that they’re at the bottom of the other side. But donuts are just coming in. And, what I didn’t learn in Harvard business school: the donut has the highest profit margin of anything on the planet. More than the potato. There is like a 3000% markup on donuts. Here’s a Mark Twain quote for you: to succeed in life, you need two things: ignorance and confidence. And I swear to god that’s the only reason I’m good at what I do. I know people that have been trained by the greatest people on the planet. I’m a tenth grade dropout. I don’t have a GED. I don’t have any formal education. I don’t have a skillset to provide for myself in any other industry. I was raised in Gary, Indiana. I’m doing what I know. I know burgers. I know fried chicken. And I know pizza.